After a 6-month cross-calibration phase, Jason-2 has been moved into the orbit of its predecessor Jason-1. The 2 ocean-observing satellites will now fly in tandem on parallel ground tracks until Jason-1 reaches the end of its mission life, thereby doubling ocean data coverage. The Jason-2 satellite in orbit since 20 June 2008. Credits: CNES. Saturday 14 February, Jason-1 finally moved aside and left its orbit to its successor Jason-2, launched on 20 June 2008. 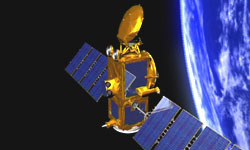 Launched end 2001, the Jason-1 mission was scheduled to last only 5 years but has been continuously extended due to its exceptional performance. 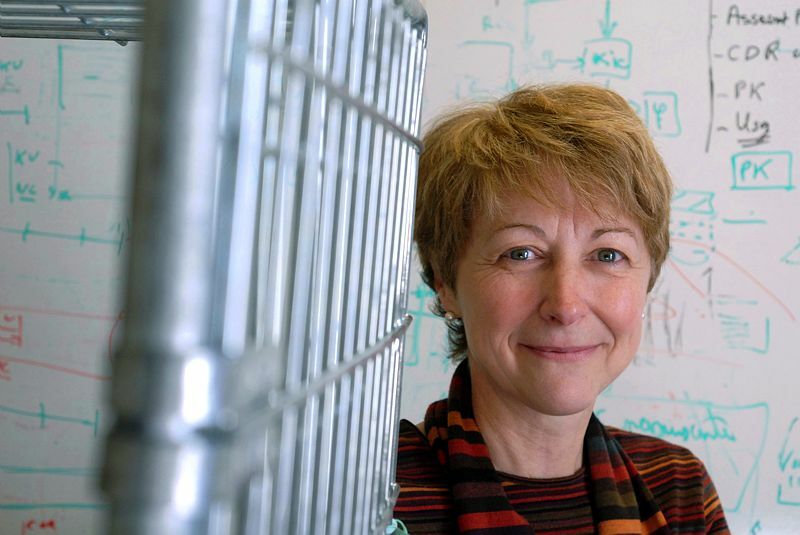 “Jason-2 is now in Jason-1’s old orbit, whereas Jason-1 has been moved to a new orbit to double coverage of the ocean surface,” explains Jacqueline Perbos, Jason-2 Project Leader at CNES. The 2 satellites will fly in tandem on parallel ground tracks. Jacqueline Perbos. Credits: CNES/E. Grimault. This is because during the 2 hours it takes the Jason satellites to orbit Earth, the planet rotates eastwards. 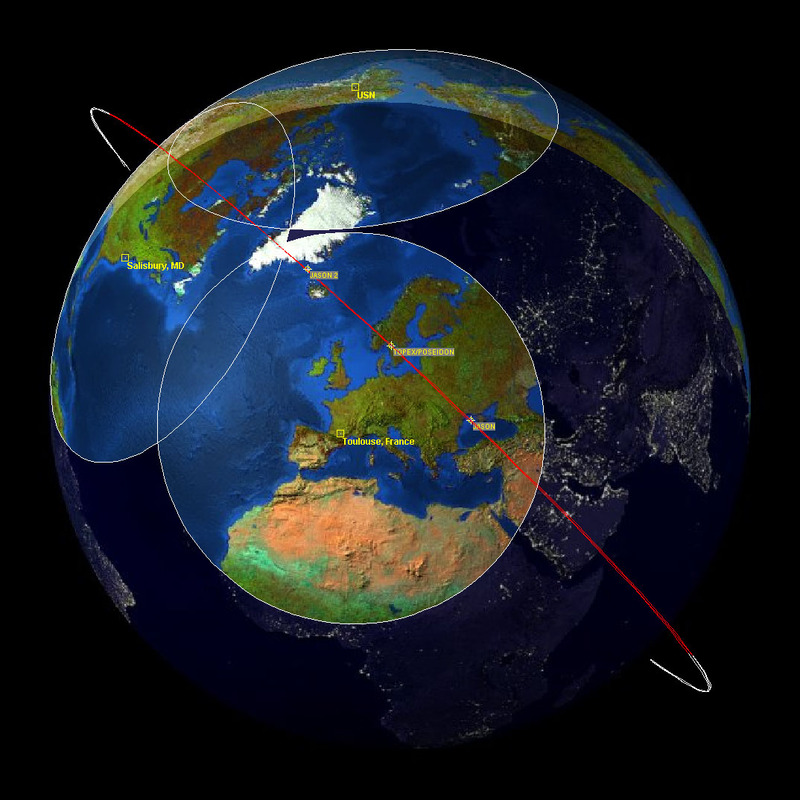 The resulting “ground track” of the satellites therefore cannot cover the entire surface of the globe. Jason-1’s new orbit is midway between 2 adjacent Jason-2 ground tracks. The resulting resolution is equivalent to that from a Jason satellite orbiting Earth in only 1 hour. These orbital manoeuvres brought Jason-2’s calibration and validation phase to an end. For more than 6 months, Jason-2 trailed just 55 seconds behind its predecessor to enable scientists to acquire near-simultaneous measurements to precisely calibrate the satellite’s instruments. The results thus achieved are very good. Jason-1 and Jason-2 flew in tandem for 6 months to cross-calibrate their instruments. Credits: CNES. 28 January 2009, Jason-1 began to drift slightly relative to Jason-2 (click image to enlarge). Credits: JPL. The change of orbit was handled by teams at the CNES mission control centre in Toulouse. “The process began with 2 manoeuvres on 26 and 27 January. We lowered Jason-1’s orbit by 20 km, to move it away from Jason-2,” explains Gérard Zaouche, who coordinated operations. Three manoeuvres, on 4, 6 and 14 February, were required to accomplish this delicate task. Jason-2 mission control centre at CNES in Toulouse. Credits: CNES. The Jason programme aims to characterise ocean currents, analyse ocean seasons, probe tides and track variations in sea level. Launched 20 June 2008, the Jason-2 satellite is a partnership of CNES, NASA, NOAA and Eumetsat. The possible launch of a Jason-3 satellite is under discussion.